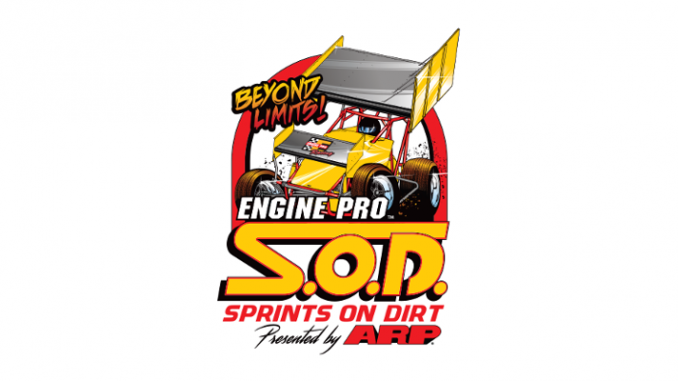 ERIE, MI (August 6, 2018) – The four-race Butler Motor Speedway/Engine Pro Sprints On Dirt presented by ARP Hog Creek Showdown wrapped up with the Butler Bash Friday and Saturday. Chad Blonde took the championship and will receive a $1,000 payout at the Sprints On Dirt Awards Banquet on Saturday, October 27 at the Battle Creek (MI) Holiday Inn. The top five will receive a share of the point fund. For full point standings and all other Sprints On Dirt points, go to the SOD website and click on the “2018 Points” tab. For more information about Butler Motor Speedway, go to www.butlerspeedway.net and the speedway’s Facebook page at https://goo.gl/csxUkX. To learn more about Engine Pro, go to www.enginepro.com. For more information about ARP, go to www.arp-bolts.com. Follow SOD at www.sprintsondirt.com and on Facebook at www.facebook.com/sprintsondirt.